AACHEN, Germany, Feb. 12, 2019 /PRNewswire/ -- Zasso is pleased to announce the expansion of its Advisory Board. This Board helps shape and guide the strategy of Zasso Digital Herbicide, working closely with the leadership team to capitalize on future growth opportunities. Adrian Percy will work together with Philippe Herve, Marcus Heppner, and Jean-Pierre Ergas. Adrian Percy has more than 25 years of experience in the plant protection and agricultural industry and is a strong advocate of solutions based on modern agriculture. He is also a strong proponent of the development and adoption of new agricultural and food technologies that promote global food security while protecting the environment. Adrian previously served as the Head of Research & Development for the Crop Science division of Bayer. He has held numerous positions in the research and development departments of Rhone Poulenc, Aventis CropScience and Bayer in France, Germany, and the United States. 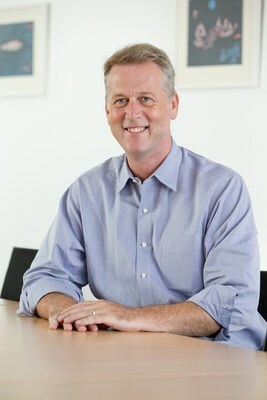 In 2014, Adrian joined the Executive Committee of the Bayer, division Crop Science as Head of Research and Develop and led internal and open innovation activities in the areas of crop protection chemistry and biologicals, as well as seeds and traits. He now frequently acts as an agricultural industry representative as well as an adviser to companies seeking to develop new farming and food technology for the marketplace. Adrian Percy declares: "I am delighted to join the Advisory Board of Zasso and support their mission of developing innovative and sustainable technologies which will help farmers around the world combat the very real threat of weed resistance." "We are honored to welcome Adrian to our Advisory Board,"
, Chief Executive Officer of Zasso Digital Herbicide. "Adrian Percy's knowledge of ag-technologies combined with his expertise in the field of plant protection will make it possible to reconcile the challenges of the various industrial players on the market. Through his worldwide scientific network, Adrian Percy will bring invaluable knowledge to our management team in the development and strengthening of its solutions."